Great news for Mac users. We are finally ready to announce the official release of new Adguard. Yay! Adguard for Mac is truly a unique web filter that was created from scratch, specifically for OS X. With the help of our new product, we successfully solved all the issues with problematic ad blocking on Mac. For example, back in the days it was only possible to block ads on Mac with browser extensions. They do not take into account specifics of the OS X and affect the stability of browser’s performance (especially Safari). One more problem is that it’s almost impossible to block video ads due to browser extension limitations. In Adguard we have taken all this into account, so that there won’t be any problems with the filtering – all banners, flash animation, text and video ads will be completely removed. Block ALL ads in ALL browsers. And even in applications on your Mac. Protect you from online threats. Ensure protection from counters and tracking systems. 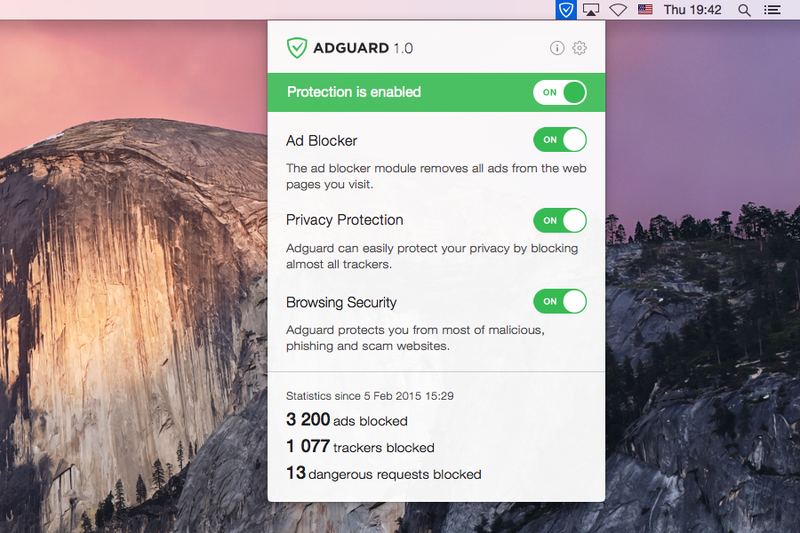 Main modules of Adguard for Mac are Ad Blocker, Privacy Protection and Browsing Security. Now, let’s take a closer look at each of them. Ad Blocker: Ad filters clear the Internet (and applications on Mac) from annoying advertising, and banners are blocked even before they are loaded to a page. As a result, sites are loading much faster. Privacy Protection: Any counters and tracking tools will be blocked. Adguard won’t allow anyone monitor your actions online and will protect your personal data. Browsing Security: Checks every page for any malicious or phishing content using our databases, and blocks requests from potentially dangerous ones. Adguard won’t let you become a victim of fraud. The program also includes additional features such as Adguard Assistant and Filtering Log. Adguard Assistant helps you manage the program’s work directly from your browser and Filtering Log demonstrates all the processes taking place in the program and helps to configure filtering as you want it. Disk: 100 MB of free space. No special license needed to activate Adguard for Mac. Standard, as well as Premium suit well. We have made every effort to make a decent program, despite the fact that OS X is a new platform for us. 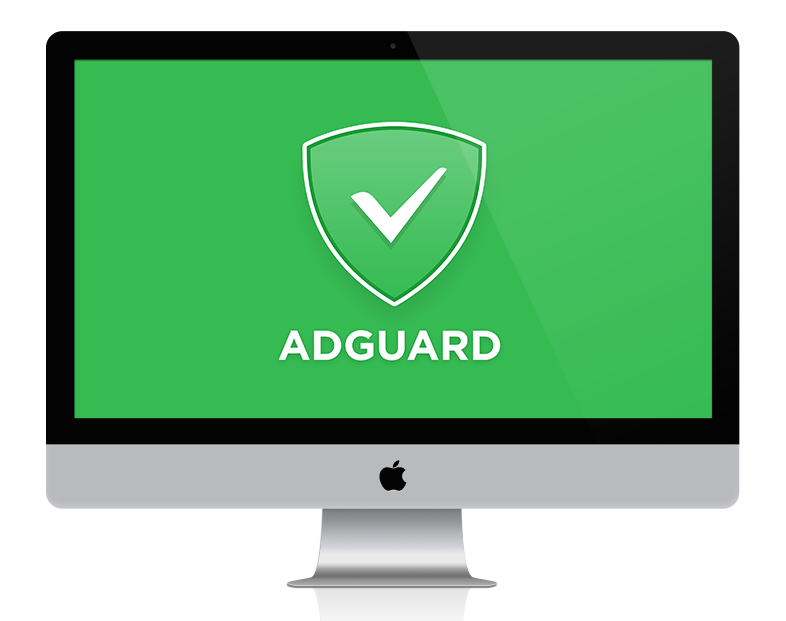 We hope that Adguard for Mac will very soon have its satisfied users. And as always, we really welcome and looking forward to your comments. All our new products, continuous work on improvement of existing ones and “evolution” of Adguard in general – it is all happening thanks to you. Today we start a series of articles devoted to a detailed study of the technical side of ads displaying and online tracking. We will show you how exactly advertising networks operate, what they learn about you, and how they use this data. Dear friends, yesterday we have released a beta version of our app for Android. And this release was a very significant one. The major update was the introducing of Adguard’s own Firewall. Many of you already knew about the planned innovation and were looking forward to this release. For the rest, we’ll explain right now why is it so good and important.